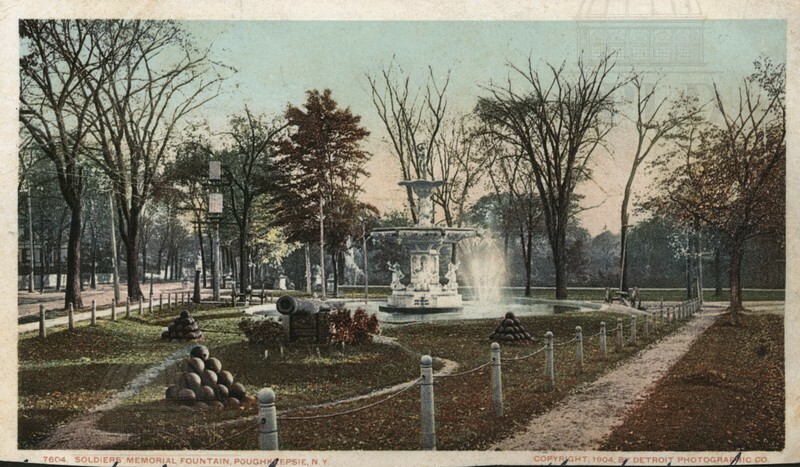 Color-tinted photograph of Soldier's Fountain on Market Street in Poughkeepsie. 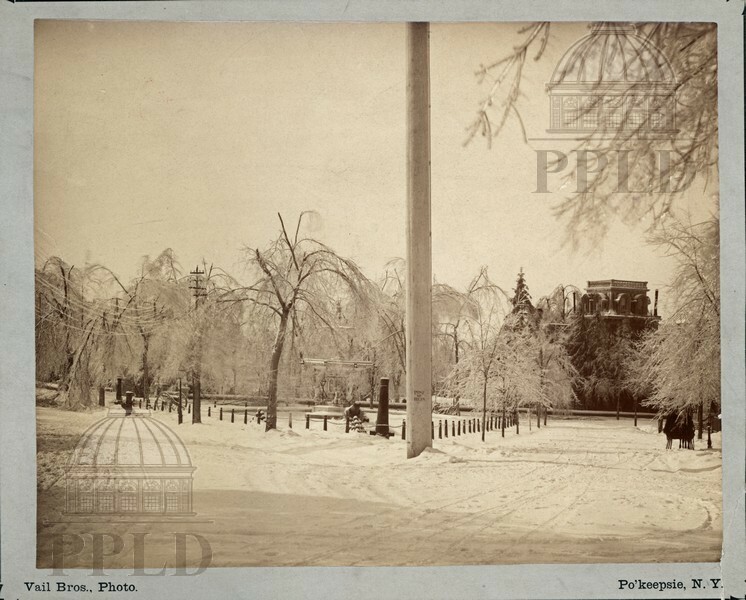 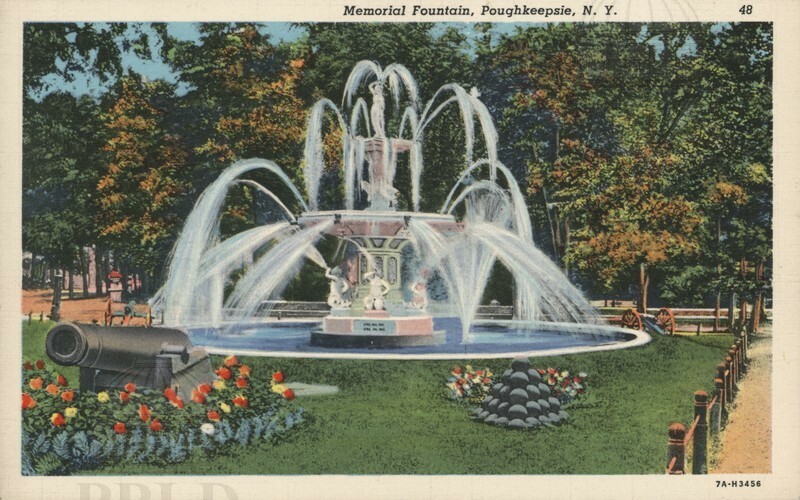 Part of an accordion fold souvenir set, with 838a-n.
Color-tinted photograph of Soldiers' Memorial Fountain in Poughkeepsie. 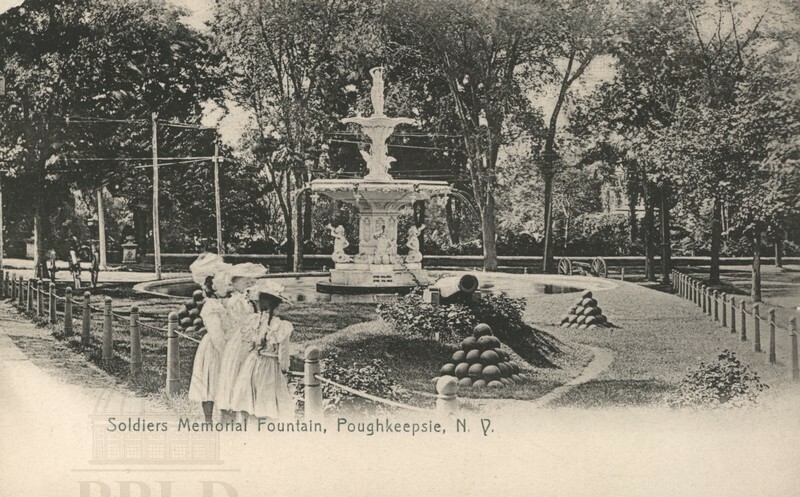 Black & white photograph of Soldiers' Memorial Fountain in Poughkeepsie. 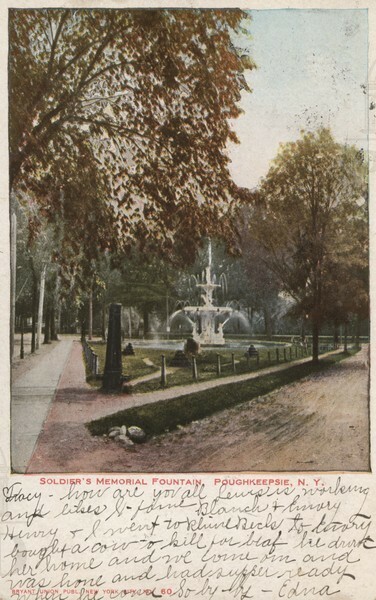 Color-tinted photograph of the Soldiers' Fountain on Market Street in Poughkeepsie. 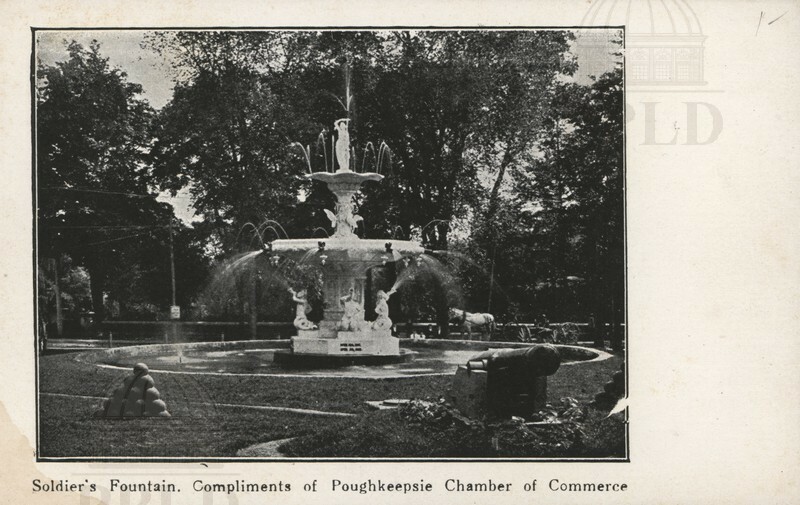 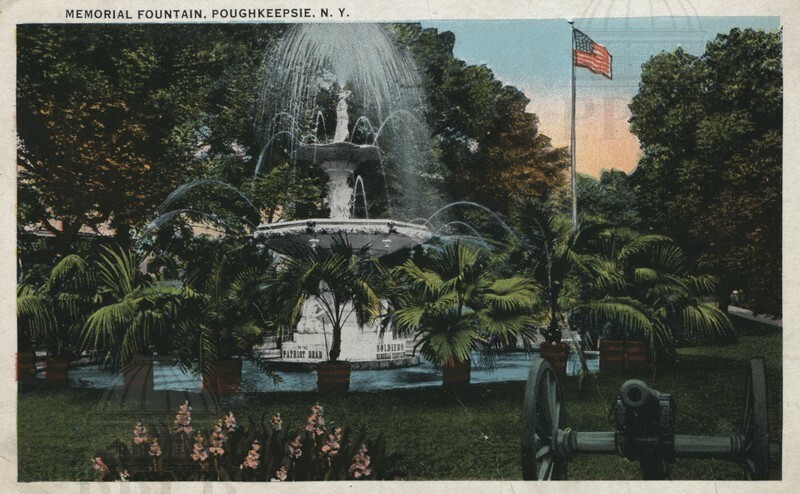 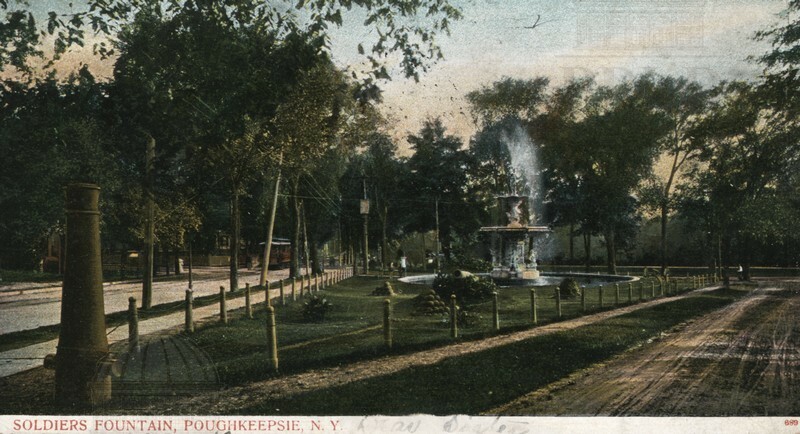 Color-tinted photograph of the Soldiers' Fountain in Poughkeepsie, one side of a souvenir collectible. 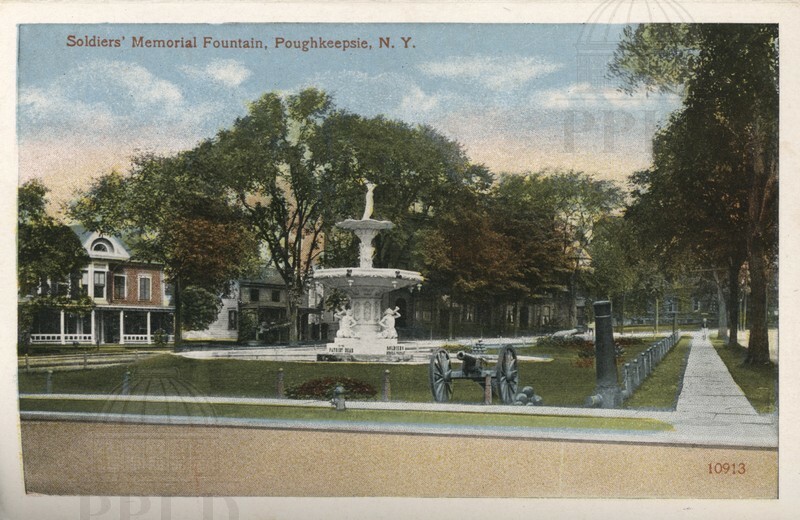 622-2PC5 on reverse. 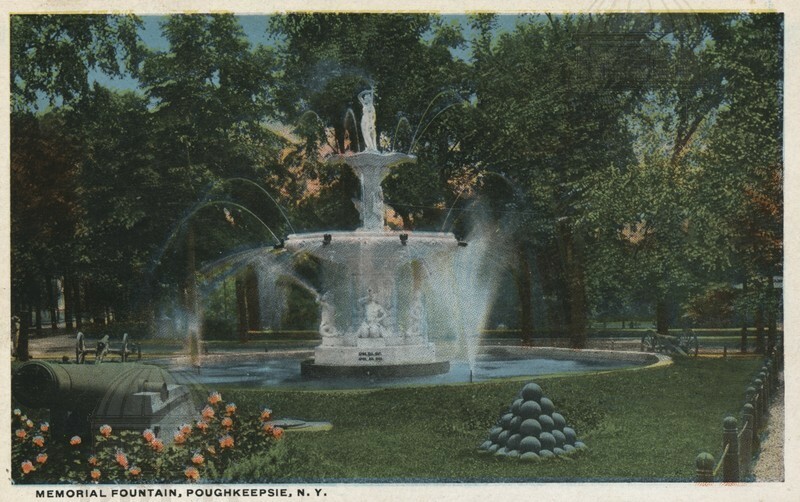 Color-tinted photograph of the Soldiers' Fountain on Market Street in Poughkeepsie. 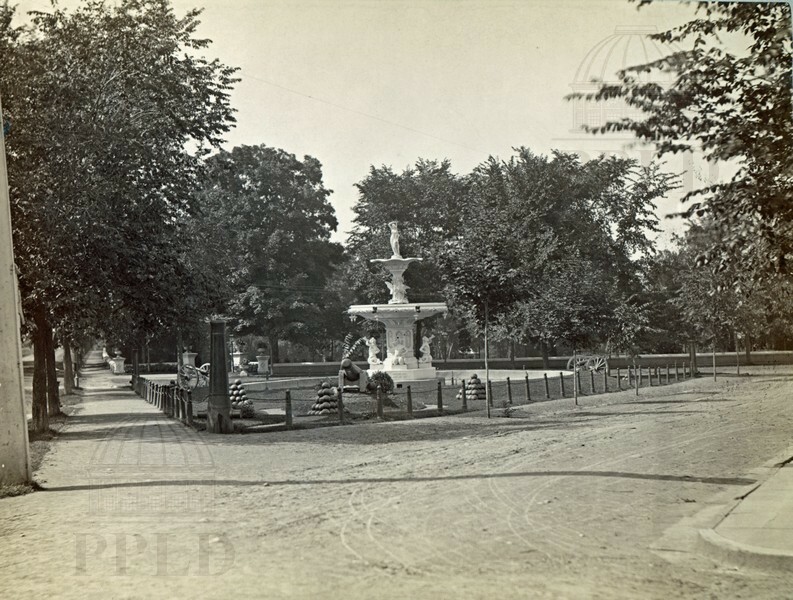 From the reverse (typewritten): "Erected 1867." 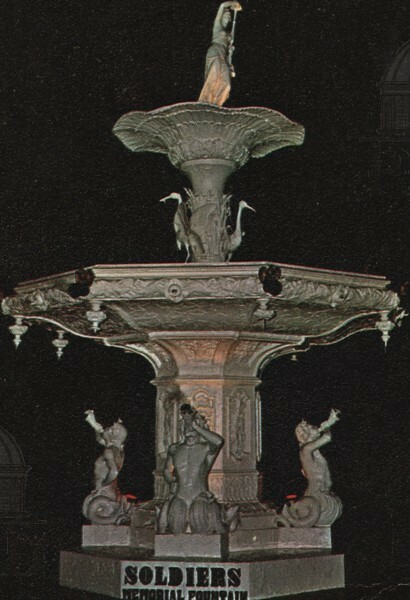 Black & white photograph of the Soldiers' Fountain, at night, on Market Street in Poughkeepsie. 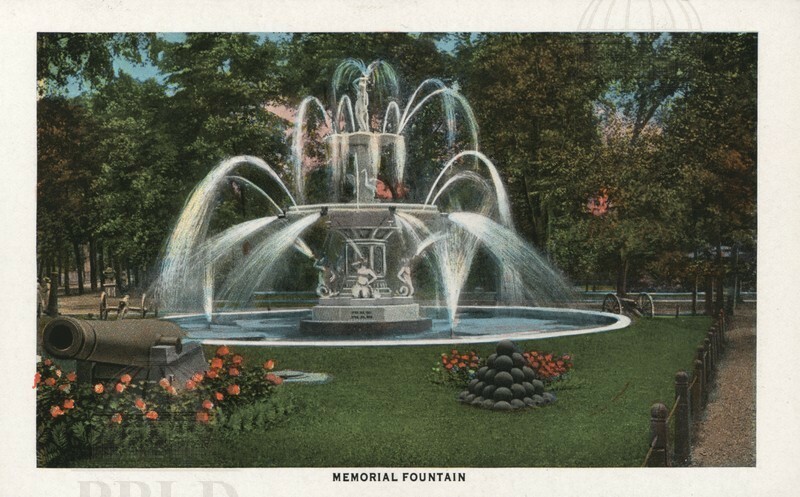 Souvenir photograph, not a postcard. 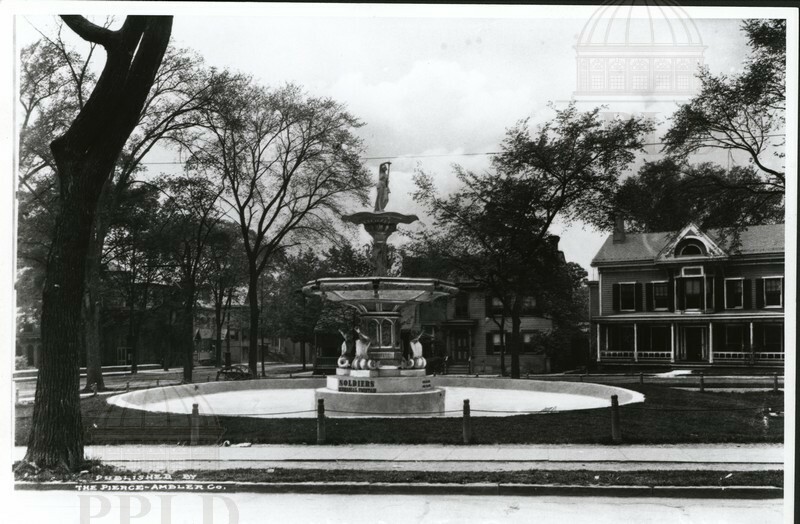 Black & white photograph of the Soldiers' Fountain on Market Street in Poughkeepsie, with three women in the foreground. 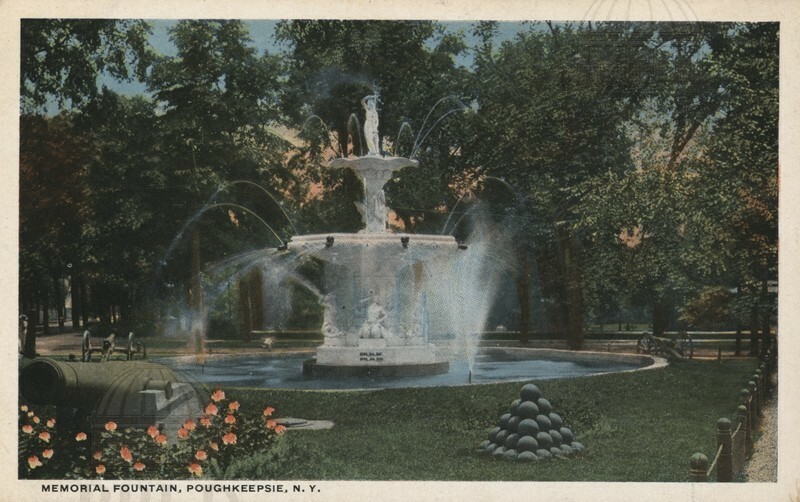 Color-tinted photograph of the Soldiers' Fountain on Market Street in Poughkeepsie. 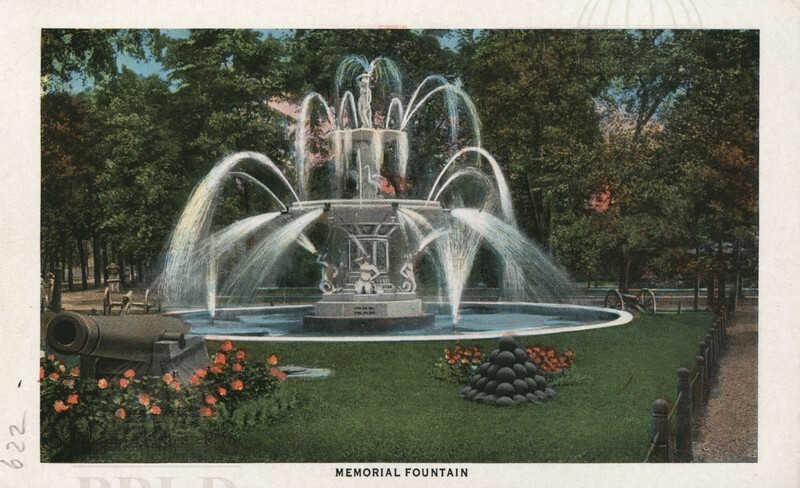 Handwriting on bottom reads: "M.W.H. 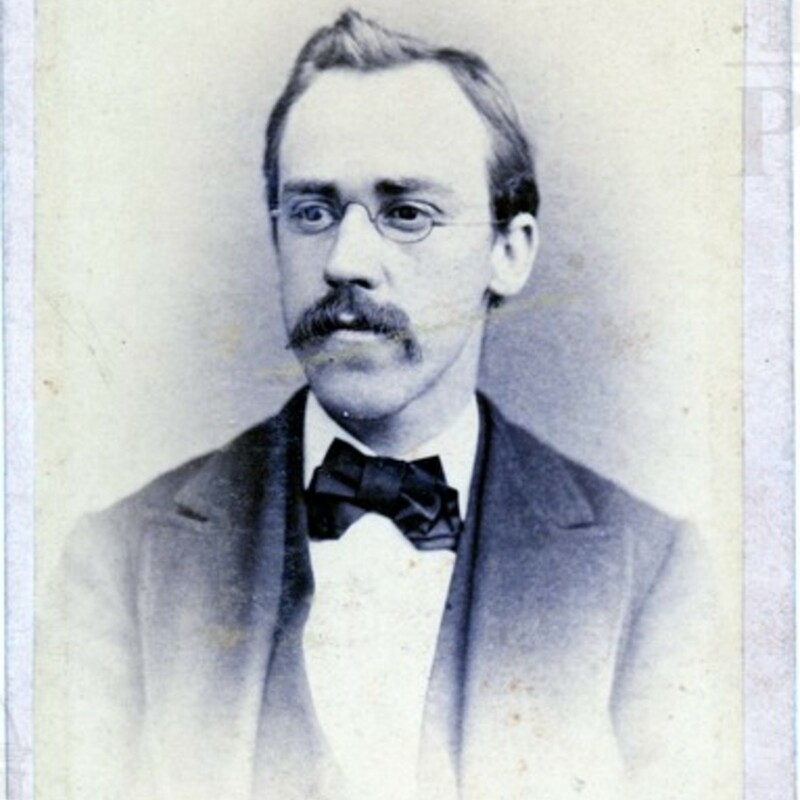 J.P.H. 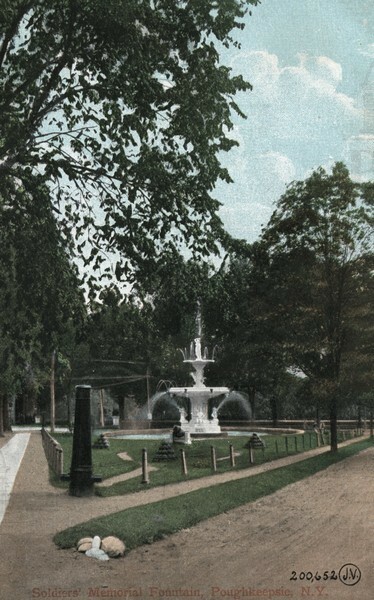 Sept 9, 1907." 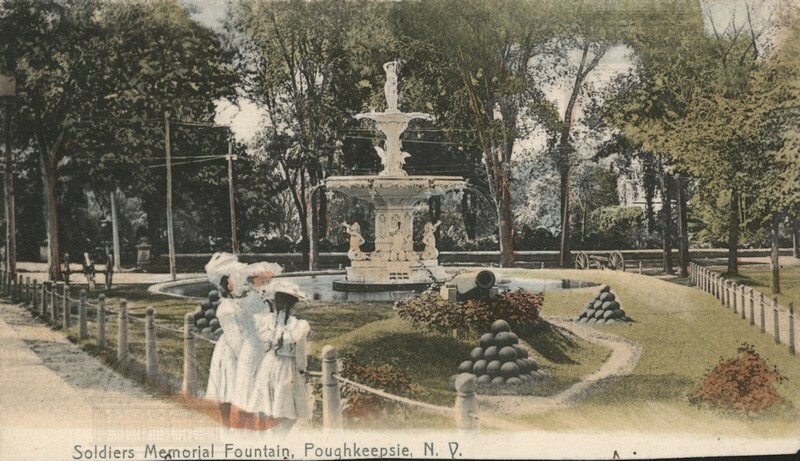 Color-tinted photograph of the Soldiers' Fountain on Market Street in Poughkeepsie, with three women in the foreground. 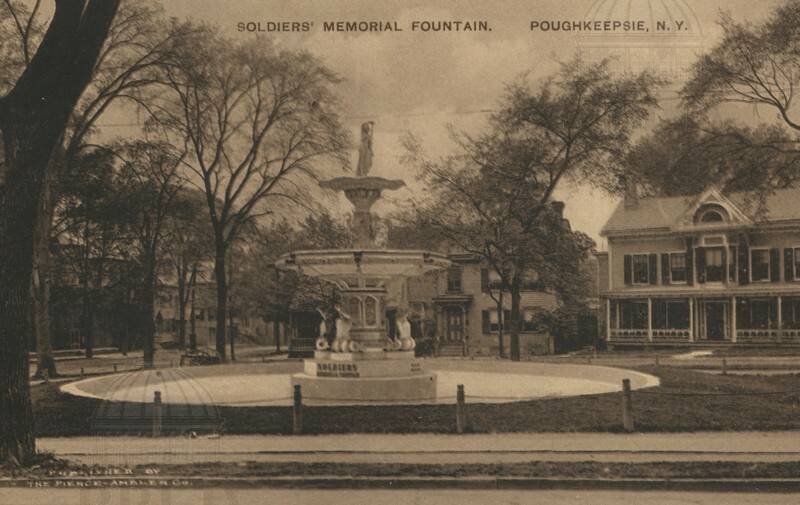 Sepia-toned photograph of the Soldiers' Fountain on Market Street in Poughkeepsie. 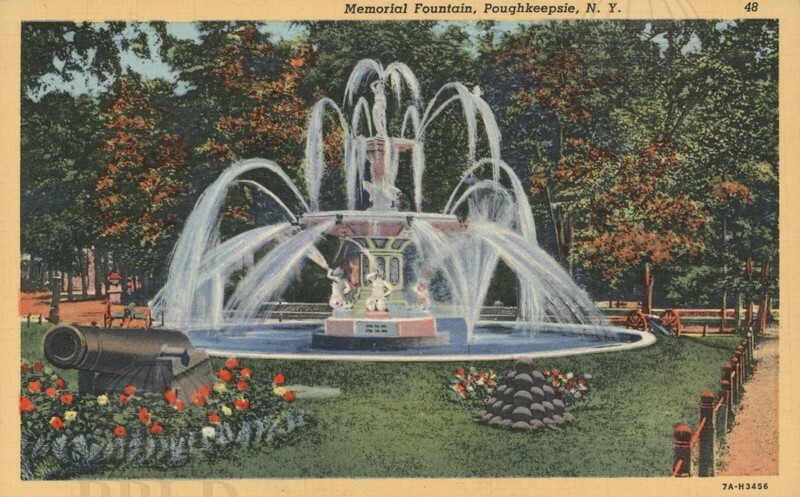 Color-tinted photograph of the Soldiers' Memorial Fountain on Market Street in Poughkeepsie. 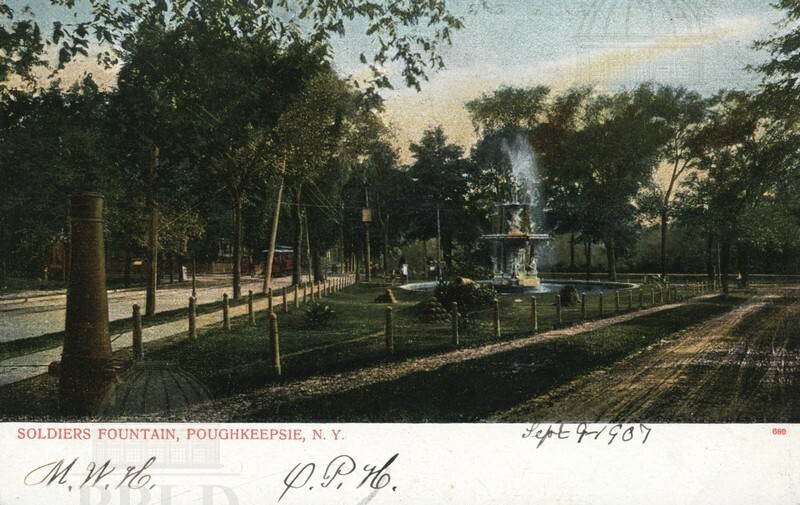 From a collectible series, "Poughkeepsie & Vassar College Views." 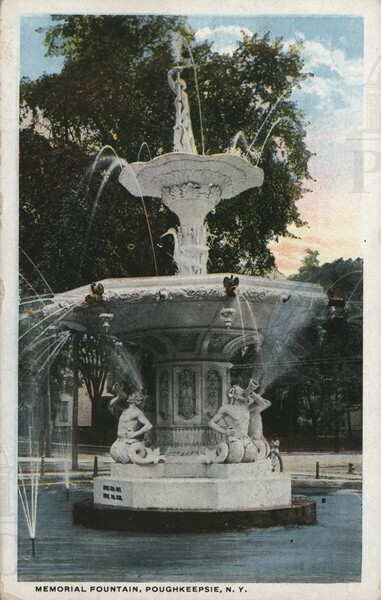 Reverse of 550-1PC4. 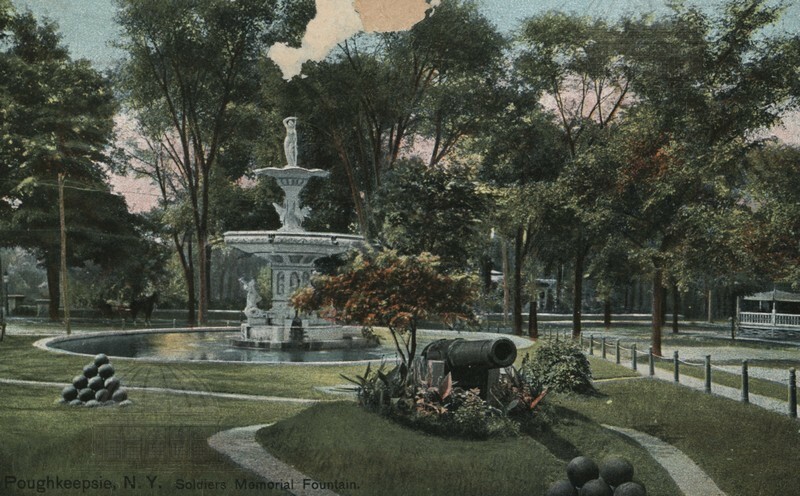 Image of the Soldiers' Fountain, Fite House in visible in the background. 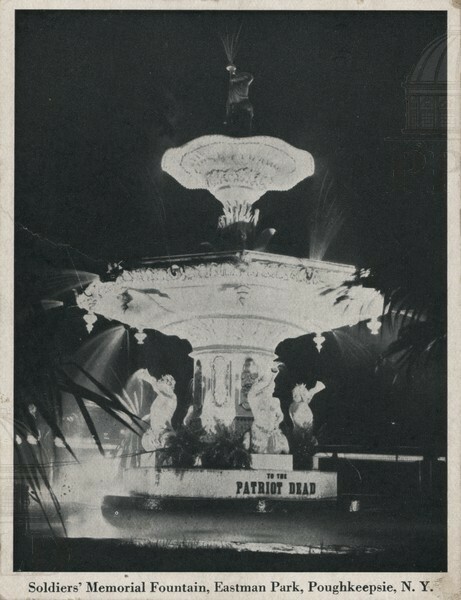 Image of the Soldiers' Fountain. 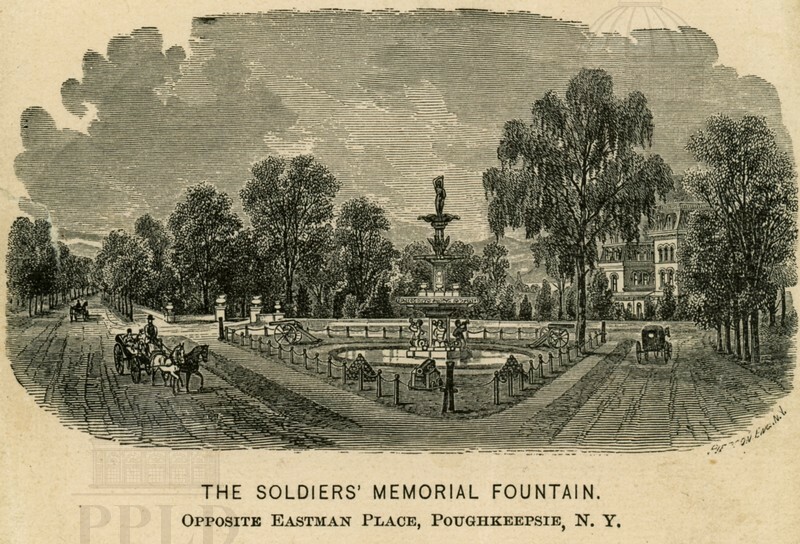 Illustration of the Solders' Fountain, opposite Eastman Place. 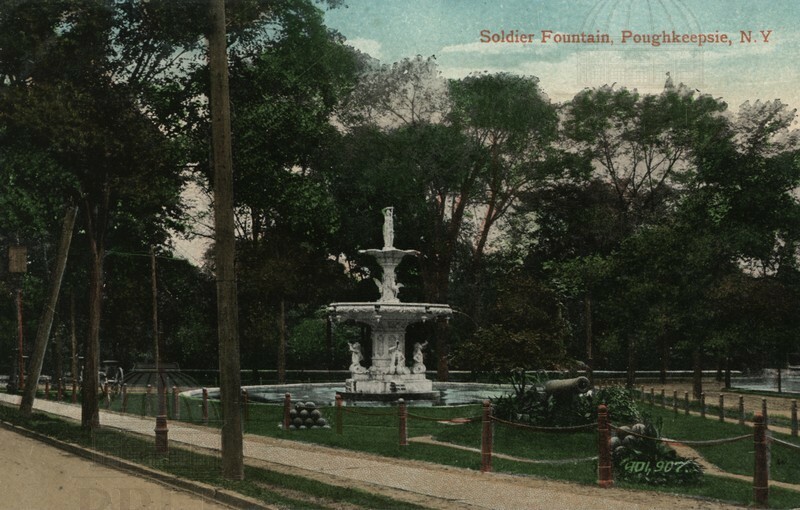 Image of the Soldiers' Fountain, after the storm.